Mormon Melchizedek priesthood Authorities pretend to be “turtle doves” (beloved ones; sweethearts; “apples-of-the-eye”) of Israel’s People (rank and file Mormons) because “turtle -doves” symbolise love and faithfulness to their mate (wife; Israel). They seek to partner themselves with Israel’s People (rank and file Mormons) in order to build their nests and raise their young. 8. Who do these men think they are, by facilitating the covering (overshadowing; eclipsing) of Israel’s people thru “clouds of darkness” (dark arts; sorcery)? 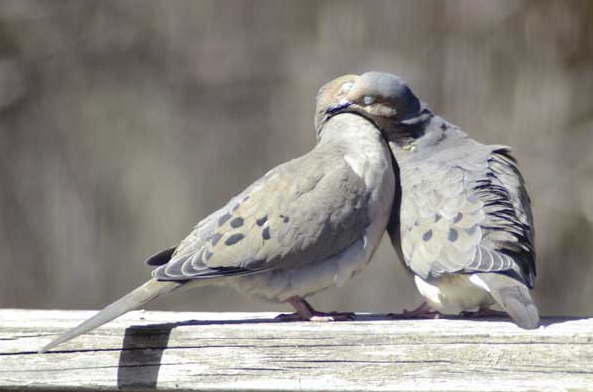 Then, “putting-on-a-show” (appearing; looking; seeming; coming on; performing; acting; behaving) like “turtle-doves” (small Old World doves with soft-purring calls, noted for the apparent affection shown for their mate; a term of endearment similar to “sweethearts”; “the apples-of-Israel’s-eye”; “beloved-ones” because they symbolize love and faithfulness, are partnered (with Israel’s people) for life and work together with Israel people, i.e. rank and file Mormons to build nests and raise Salt Lake’s progeny) within their worldwide priesthood network (organization; labyrinth; maze; interconnection; bureaucracy). 9. Indeed (in fact; if truth be told), top LDS priesthood Authorities enjoy lives of ease, luxury and (so they think, imagine) “spiritual security” (guaranteed-election”), while they exercise unrighteous (illegitimate; unlawful) dominion over Israel’s People (rank and file Mormons) and the vessels (hollow-men ; spiritually empty high-priests) they have trapped (snared; caught; captured) in their morally bankrupt Melchizedek priesthood organization. Mormonism’s top-Melchizedek Authorities are touted (sold thru aggressive promotion) as divine prophets, seers and revelators who will return (bring-back) Israel’s sons (heirs) from obscurity (insignificance; anonymity; being unknown and misunderstood). But what they do not tell Israel’s people is that Salt Lake’s Prophets believe Israel must be eclipsed (over-shadowed; outshined; surpassed; dimmed) by Melchizedek High-priests whose reputations shimmer like gold, thru sorcery (the powers of Hell) , which they unleash “in God’s name”, so they can dominate the lives of Israel’s People (rank and file Mormons), indeed, so they may crown themselves as Israel’s royalty (kings; crowned-heads) instead of Israel’s own People. Mormonism and its Melchizedek priesthood organization is a trap! Once Israelite men join the Mormon church and become part of its Melchizedek priesthood organization , they don’t dare (lose the moral courage to; forfeit the right and privilege to) resign (voluntarily leave) their position and membership. 10. So, as it stands, sons (heirs, subjects; students; disciples) of foreigners (strangers; aliens; non-Israelites) are currently building-up (fortifying; intensifying; reinforcing) Salt Lake’s skin-bottles (spiritually-empty-General Authorities; morally-bankrupt-General Authorities) as kings (crowned heads; royalty; luminaries; superstars; kingpins; high-mucky-mucks). 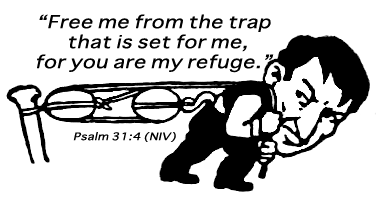 Their ministry (service) to Israel’s people is nothing but entrapment (trickery; duplicity; subterfuge). Indeed (infact; if truth be told), Salt Lake’s prophets are beating (assaulting punishing) you, in order to seek revenge (vengeance; retribution; retaliation; reprisal; satisfaction) against Israel’s people for injuries or wrongs suffered at their hands). 11. But, your gates (right of citizenship) are always open, day and night, unto you. And, they will never be shut to those who will bring you the wealth (resources; assets; means; fortunes; treasures; riches) of Salt Lake’s Gentiles and the kings (monarchs; crowned-heads) who have, since the 1800’s, commandeered (taken possession without authority) the resources (wealth) of Israel’s People (rank and file Mormons) by misleading them (lying to them; leading them away captive). 12. For the entire Mormon kingdom is run (ruled; controlled; led) by Gentile (non-Israelite) men who don’t care-about (attach any importance to) Israel’s people. Mormon priesthood leaders are merely “lost and wandering” (aimless; confused) sheep stubbornly pretending to be God’s authorized shepherds. As a result, if truth be told, the Mormon Church’s unsuspecting (unconscious; unaware; unwary; gullible) citizens (members; subjects) are forsaken by God (Jehovah). 13. But, the distinctive (characteristic ; typical) “whiteness” (holiness; purity) of Israel’s fruit-bearing (cypress) family-trees (pedigrees; lineages) will return accompanied by Israel’s “tall” (straight; upright; unbending) family-trees (lineage; bloodlines; pedigrees) . They will unite themselves in order to explain (make clearly comprehensible ; illuminate ) the true purpose (function; role) of my sanctuaries (holy-people; family members; Saints) and expose the high-priests who championing (promoting; advocating; misrepresenting) the steps (initiatives; precepts enterprises) of autocratic (oppressive; tyrannical) General Priesthood Authorities in Salt Lake City, as commandments (laws; divine rules) of God. 4. Then, consigning (dedicating; devoting; pledging; committing) you to depression (severe-despondency; a sinking spirit ; a stooping; prostration). The sons (heirs; apprentices; subjects; disciples) of Salt Lake’s top-Melchizedek Priesthood Authorities are piling labor upon (oppressing; afflicting; taking advantage of; exploiting) you. Every one of Salt Lake’s Melchizedek Priesthood Authorities are devoted (sworn by an oath; dedicated; committed; given-over) to putting chains (restrictions; limitations; conditions; prohibitions) on your feet (steps; progress; movement-forward; development; improvement; perfection; refinement) while they cry-out (act as missionaries; preach; proselytize; proclaim; pontificate) to you about “The City of Jehovah” (Salt Lake City) , “Zion”, “Sainthood”, “priesthood” and “Holiness”. 15. Contrary to what they preach, behind the scenes, they are seeing to it that even the very (actual; real; true; genuine; authentic) notion (idea; thought; suggestion) of your existence (continued-survival) is utterly forgotten (put out of sight and out of mind; consigned to oblivion) or worse, “put to sleep” (euthanized; killed) and this is accomplished without a word of opposition (resistance; objection; dissent;disapproval) from Israel’s People (rank and file Mormons). However, they don’t understand that the power of your (Israel’s) name (essential-character; nature; disposition; temperament; make-up; spirit; complexion), by itself, causes (gives rise to; inspires; generates; prompts; triggers; produces) the everlasting majesty (sublimity; spiritual and moral greatness) of God – which is a source of continual “joy” for Israel’s people, generation after generation.